Have fun everybody who's there. Posted by edvendetta on Instagram. Gee I wonder who that is. haha Ok guitar experts what are they? Do I see the jazz master? Cuz I don't know squat about guitars. haha keys yes guitars nope. 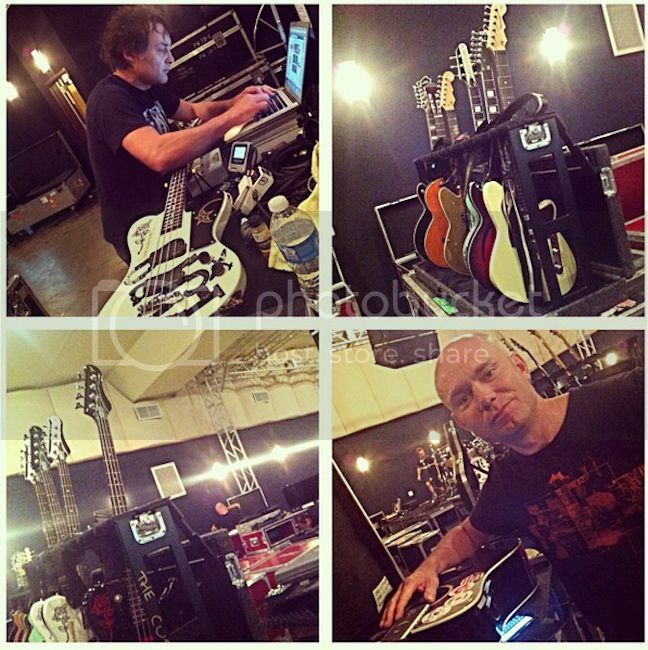 The pic on the top right are Reeves' custom made Reverend ones. Here is the Brit head to head in the Austin Chronicle preview supplement they were giving away. This is the barytone guitar made by Reverend for Reeves. He played on Robert's old modified Bass VI during the 2012 Summer tour, but plays with this one since the LatAm tour.